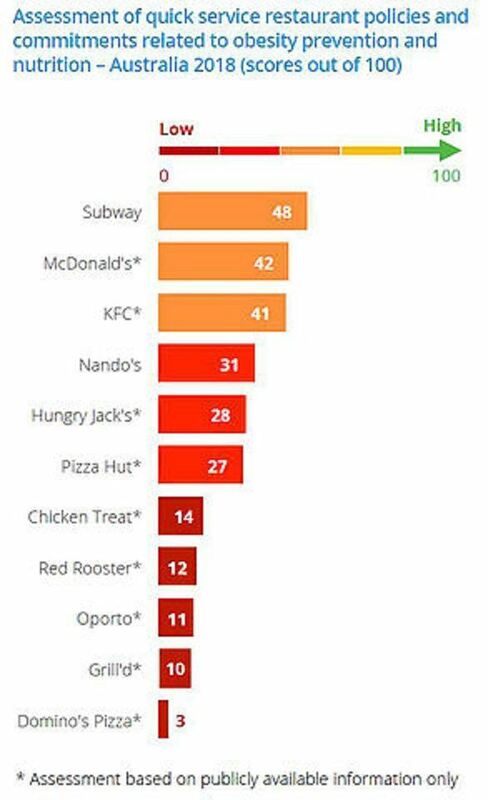 Inside Our Quick Service Restaurants 2018 assessed the largest Australian quick service restaurants on their policies and commitments related to obesity prevention and nutrition. 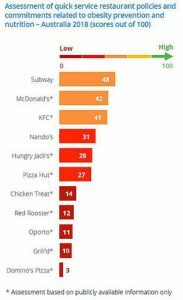 The majority of the largest quick service restaurants in Australia do not publicly identify nutrition and health as a focus area. Across the sector, there is limited disclosure of company efforts to address obesity and population nutrition issues.